Dementia is a life altering condition that affects hundreds of thousands of people across the country. Not only does dementia impact on the sufferer’s lifestyle and mental wellbeing but it can have a serious impact on those close to the person suffering from such symptoms. Thankfully, the British government is now taking dementia even more seriously and, with the country becoming an aging population, there is even more time and funding going into dementia research both in terms of finding a cure and improving the services available to those suffering now. This guide looks to introduce you to the services available to both dementia sufferers and their families, from government level schemes – such as those run under the National Institute of Health and Care Excellence (NICE) – to local charities that can make a huge difference to daily life. On a national level, NICE looks to publish guidelines across all areas of healthcare to ensure that all British citizens receive an optimum level of care. Their guidelines on dementia look to constantly improve the level of care dementia sufferers receive from the NHS. As a non-departmental body of the Department of Health in the UK, serving the NHS, it is these guidelines that look to provide help to those in need. The institute provides guidance to carers and facilities on dementia so that sufferers receive an equal level of quality care. NICE guidelines have remained largely unchanged in the past but since such an intense focus was placed on the disease by the government there have been more drastic updates in recent years, including updated quality statements and greater attention paid to mental health. The Alzheimer’s Society is a fantastic organisation that looks to improve the quality of life of those affected by dementia across the country. They provide local information and services up and down the country which range from a dementia helpline and a monthly magazine to Alzheimer’s Cafes and group outings. This organisation already has 20,000 members and looks to bring people together to provide support and raise funds for continuing research into the condition. On an international scale the ADI, or Alzheimer’s Disease International, works to raise awareness of Alzheimer’s and its effects, as well as funding a large number of associations around the world who support those with dementia and their families. 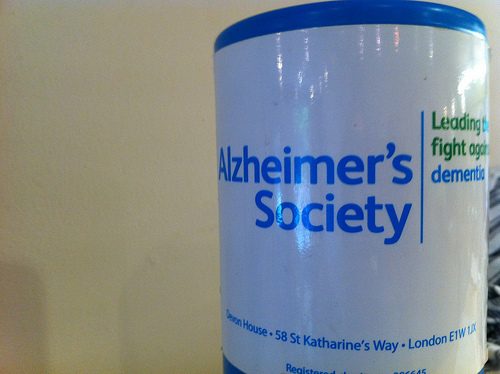 The Alzheimer’s Society in the UK is an official branch of the ADI, as an association of the international federation. 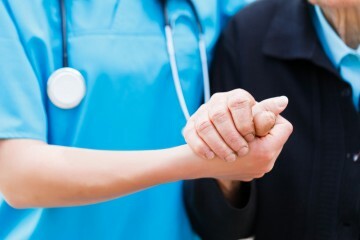 Other specialist services include Admiral Nurses, who are specialist mental health nurses working with dementia sufferers and their carers, and Dementia UK. In addition to the national and international services in place to help those suffering with dementia and family members affected by the condition, there are also numerous smaller organisations and institutions that can have a huge impact on daily life. Oxfordshire dementia care homes and similar facilities elsewhere can offer dedicated care that is both specifically geared towards treating their condition and works to ensure they get the most out of life, despite the onset of dementia. Through arranged outings and activities as a group, they can offer a lifestyle that works to keep the mind and body active. Relying on the use of a service that provides dedicated and experienced care around the clock can be easier on families too, as they can see loved ones flourish and can be updated regularly by experienced care professionals. NICE not only provide guidelines for care – they also work on guidelines surrounding research into the condition. Their expansive range of documents vary from public guidelines on supporting people to live well with dementia to the Open Dementia Programme that offers a general introduction to the disease through a series of educational modules. Alongside NICE, the National Institute for Health Research is dedicated to researching the disease across cause, cure and care, which also includes prevention. While there is currently no cure for dementia, research into the disease is ongoing and it is hoped that one day there won’t just be methods of slowing down dementia but also a full cure. Alongside the many services and support systems for dementia sufferers and their families, there are also a large number of fundraising and awareness-raising events held to help those with dementia. Memory Walk is one such event put on by the Alzheimer’s Society that is held up and down the country annually and is a great way to make a contribution towards the support of all those suffering with dementia.